Thomson Reuters’ Practical Law The Journal earned its circulation of approximately 95,000 by providing valuable insight on the latest legal trends and law practice management to firms of all sizes. 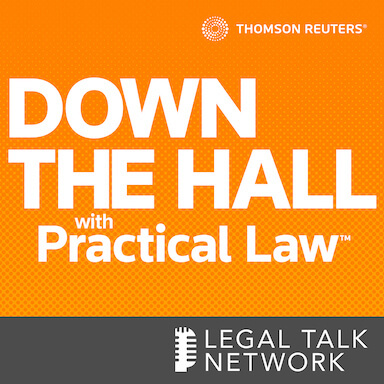 In this episode of Thomson Reuters: Down the Hall with Practical Law, host Haile Arrindell talks to Meagan Crowley Hsu about what readers can expect to see in the current issue of Thomson Reuters’ Practical Law, The Journal: Litigation. They discuss the featured articles about trademark litigation and data security and delve into their favorite recurring sections that cover topics like ediscovery. Meagan Crowley-Hsu is the deputy editor of Thomson Reuters’ Practical Law The Journal: Litigation.